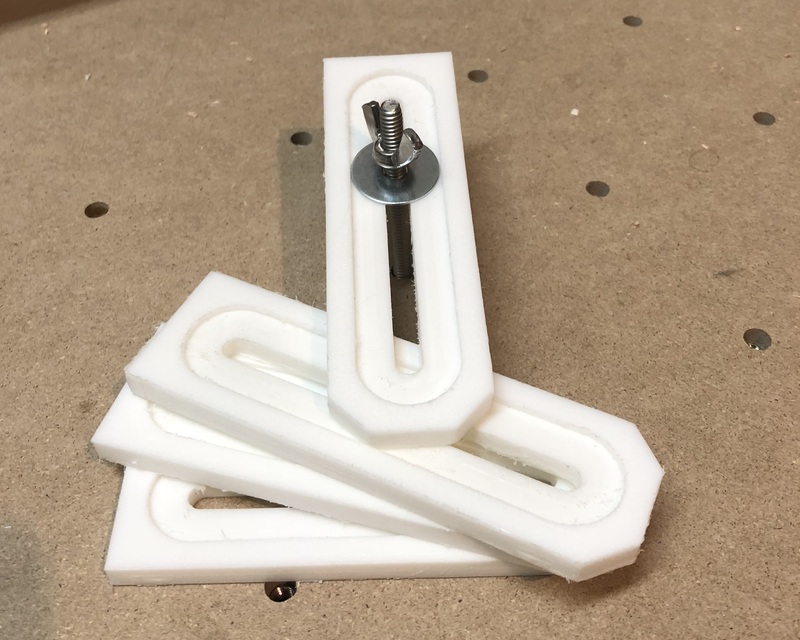 I finally got around to making a set of hold down clamps for my Shapeoko CNC machine. To be fair – I already had a set of these that I made in haste right after getting the machine but they weren’t what I wanted. So in this video, I walk through how I designed these to work with my threaded inserts that I installed in the table earlier. I walk through designing and drawing the clamps in Carbide 3d so you can see exactly how easy it is to make something like this. There is a chicken and egg problem here if you just got a CNC machine though. How do you hold down the stock to cut these out without a set of clamps? To make my first set I used double sided tape that was designed for use in carpentry. I had used it before with good success when cutting and tracing things on my router table. It worked well, but using clamps like this to hold down the stock sure feels safer.